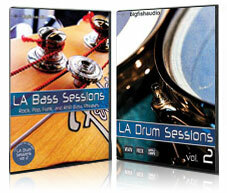 LA Bass Sessions was recorded and formatted to match flawlessly with LA Drum Sessions Vol. 2. Click here for details. This is the second installment of one of the best drum performance products ever! 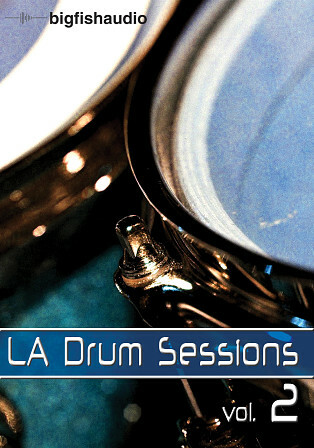 Our LA session drummers are back in the studio with more solid, plush beats in all the styles and genres you need. 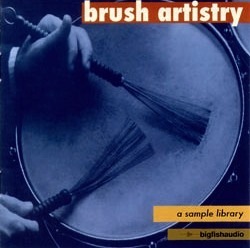 Impeccable timing, tons of variation, and loads of originality... everything you need from the perfect session drummer. Of course a variety of micing techniques and recording set-ups were used in one of Hollywood's top recording studios to bring you the best sound no matter what your needs are. No more hiring different studio drummers to try and find the right fit for your sound. From RnB, Jazz, Rock and Disco, to Funk, Dance, Country and Blues, you'll find the perfect session drummer here. note: this number represents the wav loops. Apple Loops and REX files duplicate the wav content. Choose between dry, wet, and room loops. 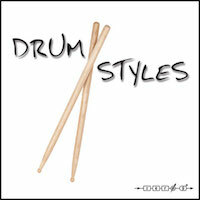 various set-ups and drum kits were used in these recordings. Each folder of BPM's will contain sub-folders of different performace sets. 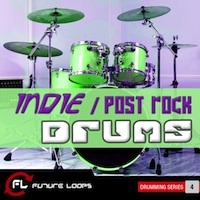 The loops in each performace set work together to easily create full drum arrangements. Also each performance set contains the loops in 3 micing perspectives: dry, wet, and room. Within each of these folders contains can contain 10 or 20 loops to over 100 loops, all of which work together. The Following End User License Agreement is included with LA Drum Sessions 2. This License is only valid for the individual who has purchased an unopened, new and lawfully made copy of LA Drum Sessions 2 from a dealer or distributor authorized by Big Fish Audio. Most products are difficult to review in 250 words. Not this one. The success of LA Drum Sessions encouraged Big Fish Audio to head into the studio for round two. The result is a no-frills set of grooves that is a must-have for many loop-based producers.